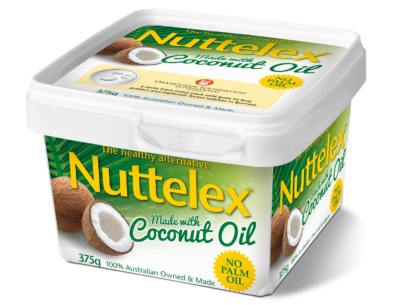 Nuttelex with Coconut Oil is the newest addition to our range. Made with the goodness of pure coconut oil, you'll love it in curries, to fry-up your brekky and bake in cakes too. It's the world's first Australian made and 100% palm oil free table spread (including emulsifiers) to be sold nationally in supermarkets. 5 cents from every tub sold we donate to protect Orangutan habitat in Borneo. Ask your local supermarket to please stock the ONLY allergy friendly, GM free, palm oil free, & vegan table spread that helps buy back forest for the longterm protection of Borneo’s orangutan. Is there nothing Nuttelex cant do? So happy I found you and now the new the Coconut Spread - how awesome. I just discovered your new coconut spread - it is delicious. It also makes me happy to know I am supporting a company with morals. Good on you all. Good for you, good for orangutans. 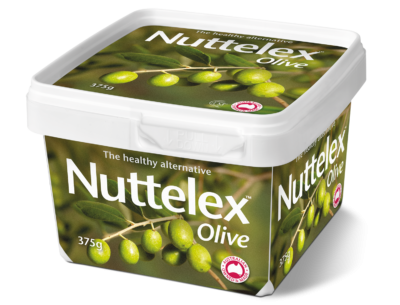 Completely cholesterol free and virtually trans-fat free, Nuttelex with Coconut Oil is made with the very best quality, non-GM canola & coconut oils making it a great alternative to other spreads. With 50% less salt than regular butter, like every Nuttelex product we make this spread is also totally free from common allergens such as lactose, eggs, gluten, and nuts, as well as any type of animal ingredient. We donate 5 cents from every pack sold to Orangutan Foundation International Australia (OFIA) to help preserve & protect Borneo’s orangutans. Specifically, Nuttelex with Coconut Oil sales will support OFIA’s Orangutan Care Centre (see YouTube clip below) & their Forest Legacy Project to buy essential forest habitat for the long-term conservation of orangutans. For the orangutans eventual successful release back into the wild, land needs to be secured to ensure they have a safe place to live. Through the Orangutan Legacy Forest project, OFIA aims to purchase, protect and replant forest habitat in Borneo that is vital to the orangutan’s survival. This land would be protected from poachers, palm oil plantations, illegal loggers and miners, creating a large interconnected orangutan ‘sanctuary’ ideal for the release of rehabilitated orangutans from the Care Centre. The Orangutan Legacy Forest is part of a larger OFI plan to purchase and protect a network of parcels of primary and secondary lowland forest located between the one-million-acre+ Tanjung Puting National Park, the 188,000-acre Lamandau Reserve, and the 1,000-acre Pasir Panjang Village Forest, home to OFI’s Camp Rendell ‘soft-release’ facility. OFI envisions a province-wide system of continuous, biologically intact nature reserves, parks, corridors and protected areas, which together will help provide essential habitat to ensure the long-term conservation of the endangered orangutan in the region. With so little protected forest remaining, and many national parks off limits to ex-captive animals, this initiative offers a real and tangible future for animals ready to return to the wild. OFI currently care for 340+ orangutans at their Care Centre. These orangutans have been orphaned due to the destruction of their habitat for palm oil plantations, illegal logging, & mining. Orangutans, once rescued, need medical, parental, and emotional care before they can be successfully released into the wild. All newly arrived orangutans initially undergo a 30 day quarantine during which veterinarians give the rescued orangutans an extensive health check. In the wild, orangutan infants share an intense bond with their mothers and do not leave them until they are, at least, 8 or 9 years of age. The centre aims to replicate this intense bond to some extent, with the relationships orangutan infants develop with their caregivers who act as surrogate mothers, caring for infants until they become large juveniles. Without the food, shelter, care, love and skills the OFI Care Centre provides, these beautiful, gentle apes would not survive let alone have a chance to be released back into the wild. OFIA’s mission is to support and continue the orangutan and forest conservation efforts initiated by Dr. Biruté Mary Galdikas in Kalimantan, Borneo. Dr Galdikas, who is Patron and a Board Member of OFIA, is an internationally renowned environmentalist, anthropologist and orangutan expert. For over four decades Dr. Galdikas has studied and worked closely with orangutans of Indonesian Borneo in their natural habitat, and is today the world’s foremost authority on the orangutan. Supported by incredibly caring and dedicated staff (as pictured above) and league of volunteers the ultimate aim is to secure a tangible future for Borneo’s orangutan population. Guaranteed to become a family favourite this roast veg salad is a fantastic way to introduce kids to super-grains like quinoa. 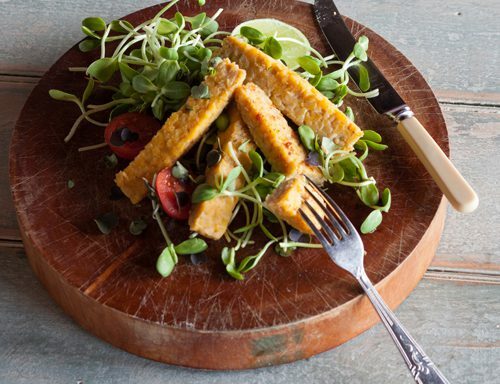 Makes a really satisfying side dish for poached fish or grilled chicken or, a super healthy, light lunch or dinner for two. 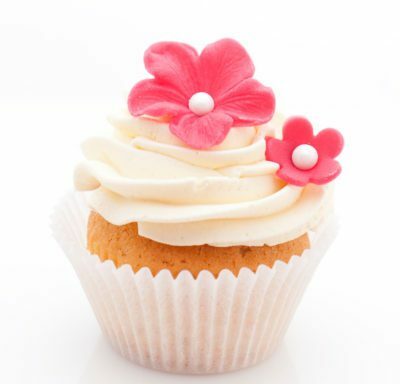 This icing is a cinch to make and tastes delicious. You can tone back the vanilla flavour if you want a slightly more neutral taste by simply opting for an unflavoured plant based milk and reducing the vanilla extract to half a teaspoon. 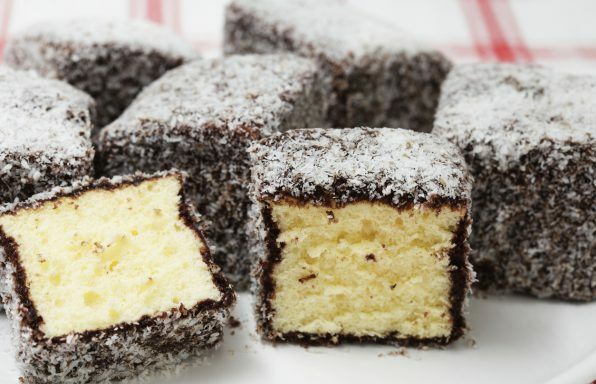 This is the Women's Weekly classic recipe. 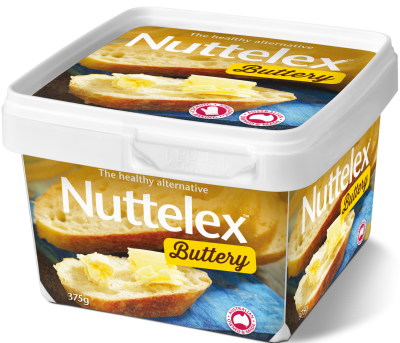 Here Nuttelex replaces the butter content, though you'd never know. 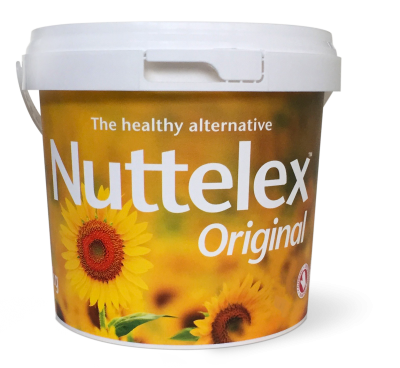 Vegetable oil (containing 6 % coconut oil), water, salt, emulsifiers [non-palm] 471 sunflower lecithin, natural flavour, vitamin D2, E, natural colour (beta carotene). Serving size is 5g. 37.5 servings per package.